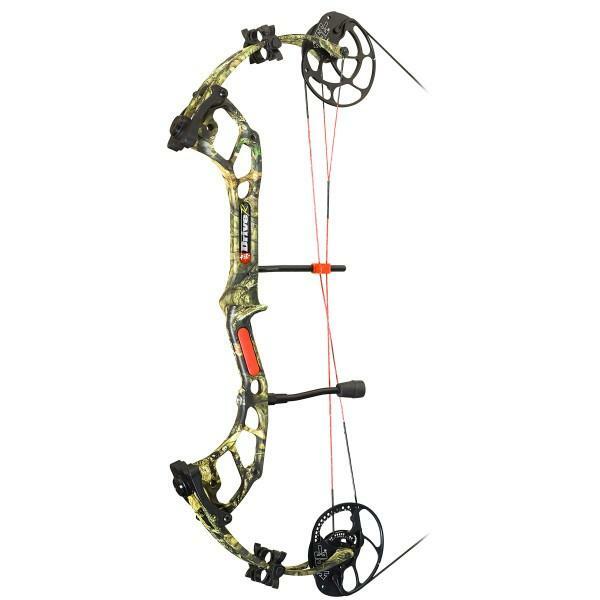 PSE Drive R compound bow Archery Supplies Australia's largest and Best Archery Equipment warehouse. The drive is a value packed performance bow - shooting 336fps. Axle to Axle 31" draw length 25 1/2- 30.5" with rotating modules. The bow you can wind down a full 11 turns. Please Select 25" 25.5" 26" 26.5" 27" 27.5" 28" 28.5" 29" 29.5" 30" 30.5" 31"
The best compound bow value on the pro market is now ever better with the 2016 PSE Drive R™! Featuring an all-new machined riser, the super smooth Drive Hybrid Cam, and PSE X-Tech™ split limb technology, the PSE Drive R™ delivers a comfortable draw and a smooth shot of speeds up to 336 fps. It’s also light at 3.8 lbs. and features a 75% let-off and a draw length adjustability of 25” to 30 1/2”. Review : This is my first compound bow. I couldn't get over how accurate the Drive R was. After initial site in at 21 meters I put the first serious attempt at accuracy into the target dead centre. I would highly recommend this bow to any first time bow shooter. I'm hooked now.